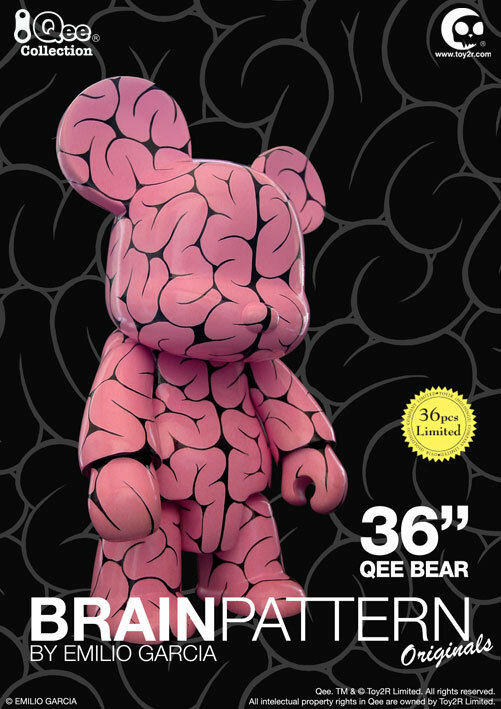 August 2011 - After a week of unveiling the roster of the upcoming 36" Artist Qee Collection, Toy2R is pleased to present Emilio Garcia's Brain Pattern Qee in XL scale - 36 inches of awe inspiring brain power! Limited to only 36 pieces worldwide, these special editions are made to order and once they are gone - that's it - so collectors get ready. With an SRP of $2800 each, these artist editions are high end collectibles perfect for setting the theme of any decor! Bringing Art to Life is Qee! Currently available for wholesale order by Apex Trading ([email protected]). For inquiries, contact Toy2R USA ([email protected]).